Harvey’s bolsters its burger menu with the introduction of the new Big Harv Burger. 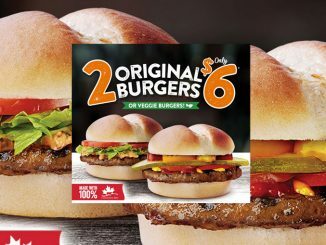 The Big Harv features two 100 per cent Canadian beef patties, cheddar and Swiss cheese slices, lettuce, tomato, pickles and Harv Sauce, all sandwiched between a lightly toasted sesame-and-poppy-seed-topped bun. 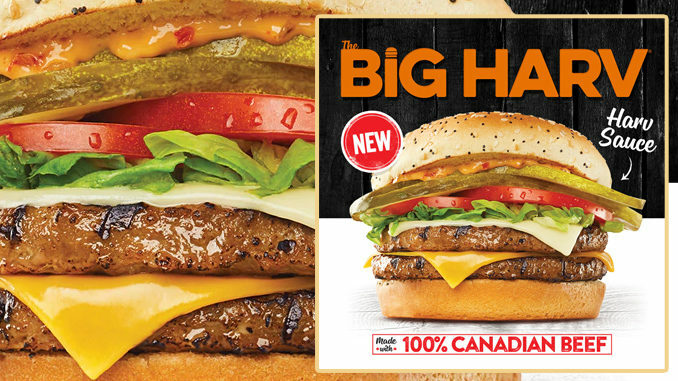 You can find the Big Harv at participating Harvey’s locations across Canada for a limited time. Additionally, Harvery’s is also running a Happy Hour promotion where anyone can get half-price Slushies, Smoothies and Shakeslush from 2 p.m. to 5 p.m. at participating locations. I remember the original Big Harv, that massive 6 oz patty and dressed up bun. 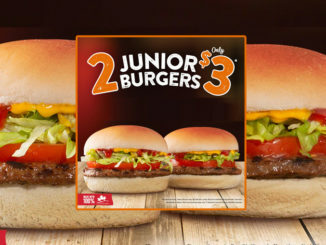 I wish they’d have brought that back instead of what’s essentially just a double cheeseburger. 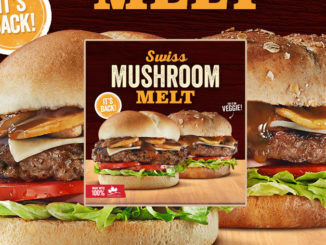 Also, bring back real cheddar! I was so heartbroken when Harvey’s started using plastic cheese again. If it can’t legally be called cheese, it isn’t cheese!